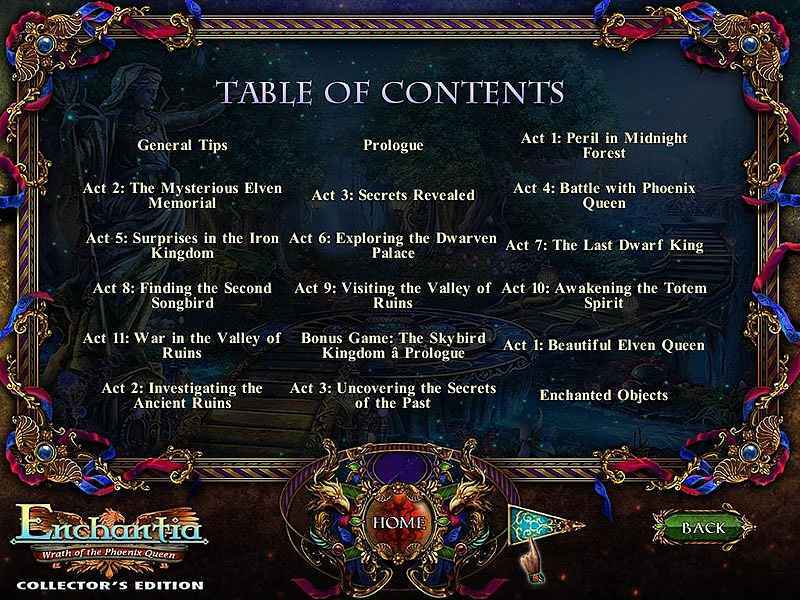 -	This is the official guide for Enchantia: Wrath of the Phoenix Queen Collector's Edition. 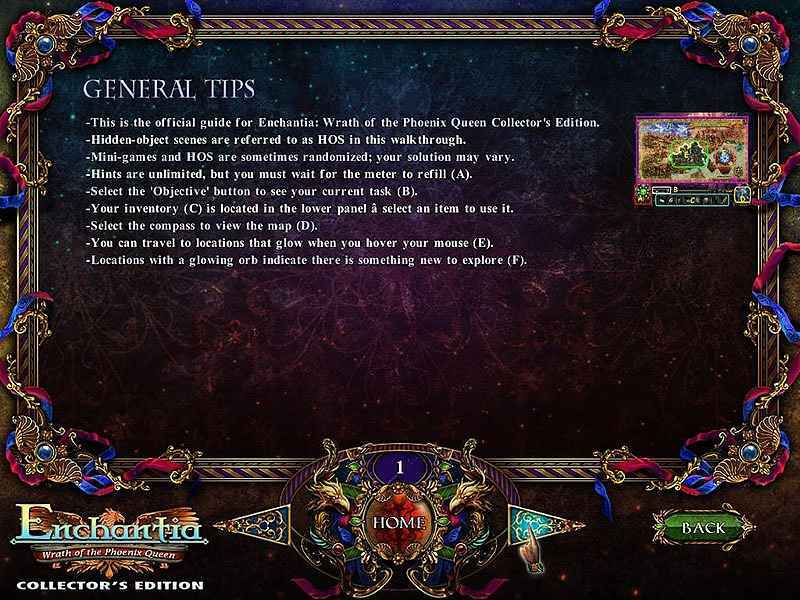 -	Hidden-object scenes are referred to as HOS in this walkthrough. -	Mini-games and HOS are sometimes randomized; your solution may vary. -	Hints are unlimited, but you must wait for the meter to refill (A). -	Select the 'Objective' button to see your current task (B). -	Your inventory (C) is located in the lower panel a select an item to use it. -	Select the compass to view the map (D). -	You can travel to locations that glow when you hover your mouse (E). -	Locations with a glowing orb indicate there is something new to explore (F).